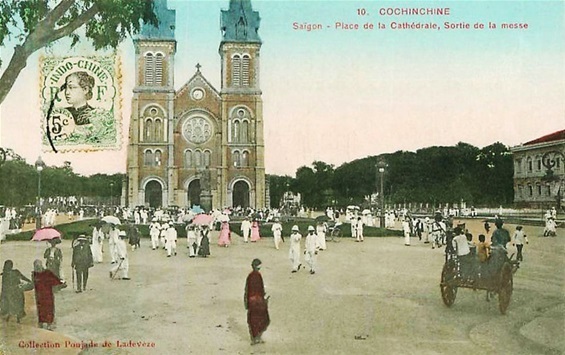 Image from c. 1900-1909 of Notre-Dame Cathedral in French Protectorate Saïgon, Cochinchine (today Vietnam). Catholics are showing exiting the Church following the celebration of the Immemorial Mass. The Vietnam war was a Judeo-masonic attack on blossoming Catholic Vietnam. Communists in Paris and Masons in Washington organised it.